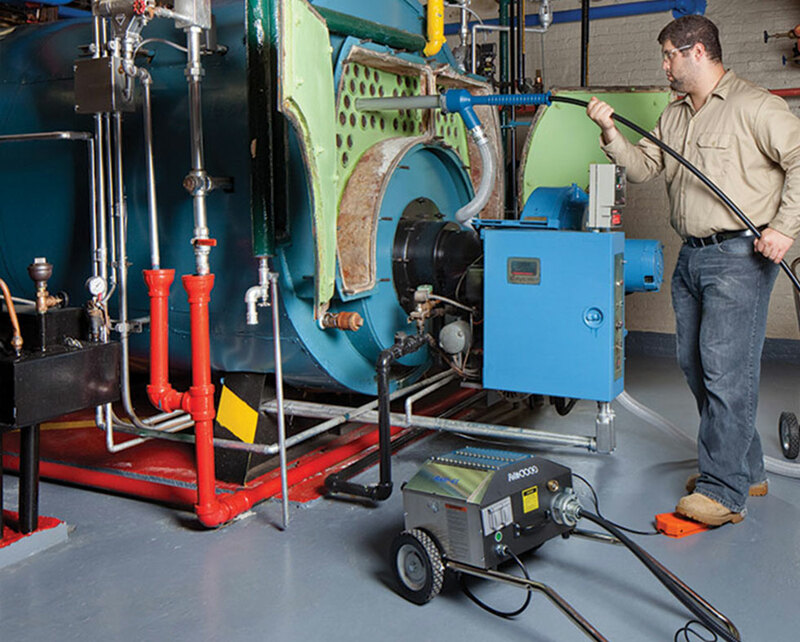 The impressive RAM-4X Tube Cleaner is equipped with a full 1 HP (0.75 kW) drive motor. It uses a cleaning tool mounted to the tip of a heavy-duty flexible shaft to remove hard deposits and scale from tubes/pipes 1" (25.4mm) I.D. and up. Flexible shafts and accessories are available for either WET or DRY applications. For wet applications, the unit feeds water through the casing to the cleaning tool, flushing out deposits as they are loosened. 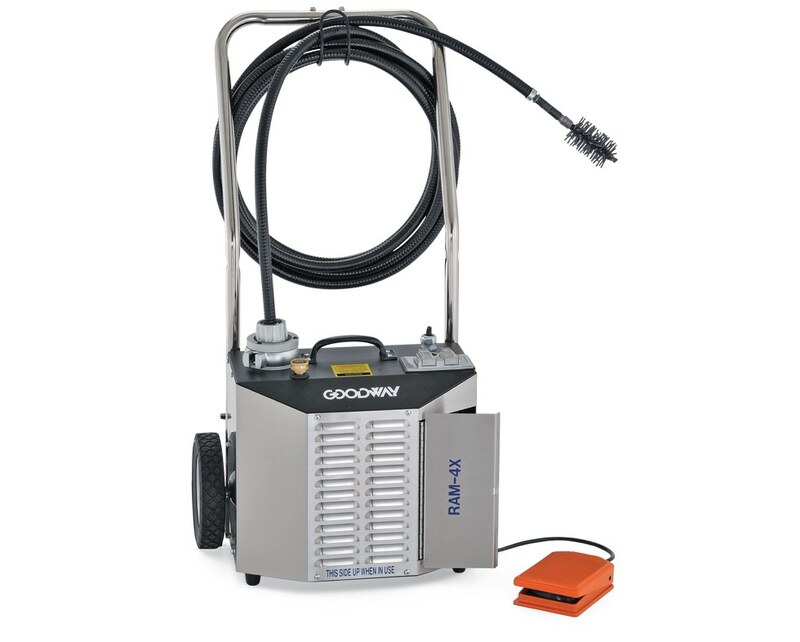 For dry applications, the GTC-DPA Dry Pickup Attachment and a simultaneous vacuum are used to remove loosened deposits.RAM-4X Tube Cleaner includes: RAM-4X Heavy-Duty Tube Cleaner, mobile dolly, tool storage box, and foot switch. Goodway's Flat Surface Paw Scraper Boiler Cleaning Tool is for cleaning and scraping scale and soot from boiler components.